BBC Radio 4 Extra - The Navy Lark: Left Hand Down A Bit! The Navy Lark: Left Hand Down A Bit! Cast member Leslie Phillips roams the high seas of comedy, with a three hour celebration of the long-running BBC radio favourite. Featuring: Operation Fag End (January 1959); The Hank of Heather (April 1959); The Lighthouse Lark (January 1960); A Deliberate Bashing (April 1963); Mr. Phillips at Dartmouth (October 1967); The Jubilee Navy Lark (July 1977). The Navy Lark is almost as much of a national institution as the Navy itself. With a worldwide following, it remains one of BBC radio's most fondly remembered comedies, and continues to entertain new generations of listeners. 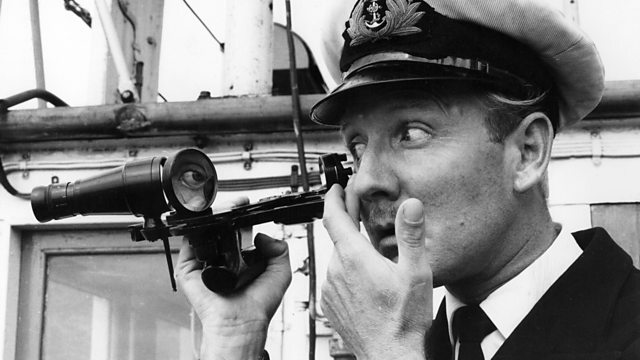 Sub-Lieutenant Leslie Phillips welcomes you aboard the infamous HMS Troutbridge for a voyage through six classic episodes in the life and times of a legendary comic flagship. Find out how The Navy Lark got started; discover who might have been in starring roles; learn how the cast of the radio series were invited to take large bits of a real-life ship ! What other popular "Larks" appeared on radio? How did the Troutbridge crew come to be running their own TV company? How exactly did Sub-Lieutenant Phillips get through Dartmouth? All is revealed.